Ming Tsang, M.D. (San Francisco) - Book Appointment Online! 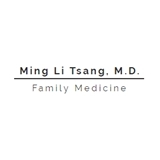 Dr. Tsang's family practice focuses on primary care, home-care visits for the elderly, and specialized care in HIV/AIDS. Our philosophy is to customize each patient's healthcare plan to suit their lifestyle, promoting healthy living and well being, one patient at a time. We look forward to welcoming you to our office.